Morning Stars Venus and Jupiter gleam brightly from the eastern predawn skies in this 30-second exposure made at 4:05 a.m. CDT from the Chicago area. Venus continues its rapid eastward motion compared to the background stars. Betelgeuse, the bright star at Orion’s shoulder is to the right of Venus. 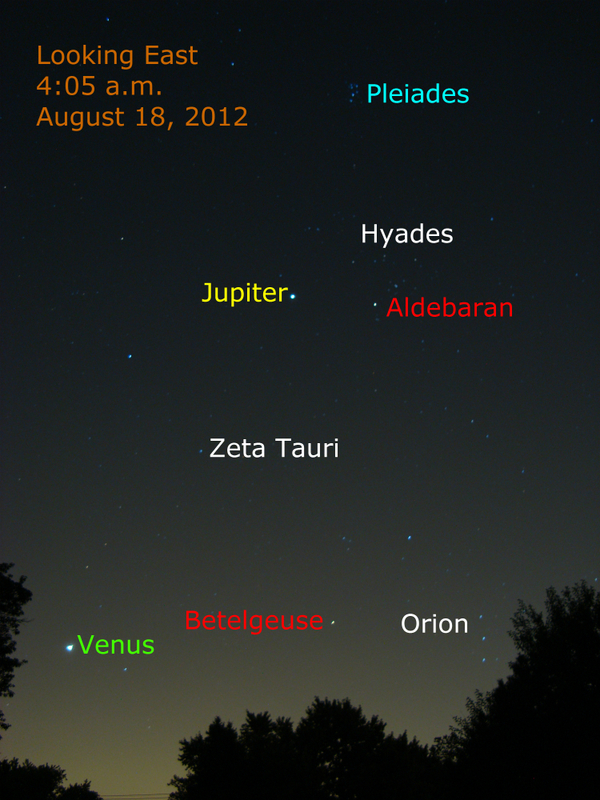 Planet Jupiter shines from the stars of Taurus with Aldebaran and the Hyades star cluster nearby. The Pleiades star cluster is higher in the sky.